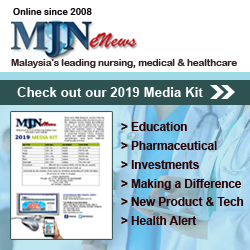 Medical show in Singapore closes on a high note - Healthcare Asia Daily News | Asia's Leading News and Information Source on Healthcare and Medical Industry, Medical Technology, Healthcare Business and R&D, Healthcare Events. Online since 2010. : Healthcare Asia Daily News | Asia's Leading News and Information Source on Healthcare and Medical Industry, Medical Technology, Healthcare Business and R&D, Healthcare Events. Online since 2010. 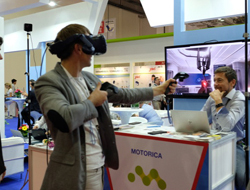 This year’s Medical Fair Asia and Medical Manufacturing Asia shows were the largest editions to date, with more than 14,000 trade visitors from 72 countries visiting the two symbiotic trade exhibitions for the medical, healthcare and medtech sectors – a 16% increase from 2016. 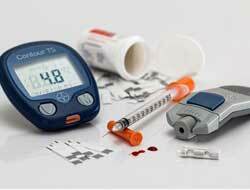 Medical Manufacturing Asia 2018 registered some 6,000 visitors from 56 countries – making it a 12% increase from the previous edition, said the organiser Messe Düsseldorf Asia. The three-day exhibitions hosted more than 1,220 exhibitors from 62 countries who reached out to a diverse, international profile of visitors. While 40% of the traders visited from outside Singapore, the majority were from Asia with neighbouring Asean countries particularly well represented. Meanwhile, Medical Fair Asia hosted a total of 23 national pavilions and country groups – said to be its strongest line-up yet. The exhibition showcased all sorts of cutting-edge solutions in the medtech sector, representing an optimistic market outlook, towards the entire end-to-end value chain from medical manufacturing processes and machinery, to finished products and components. New technology and digital health solutions were major attractions at the exhibitions, as demonstrated with the new Start-up Park gaining much interest as a dedicated showcase for young companies to pitch to top decision makers and seek potential investors. For healthcare and pharmaceuticals venture capitalist Dr Anand Govindaluri, Founder and Managing Director of Govin Capital Pte Ltd, the Start-Up Park was a great place to listen to product pitches on new innovations and digital health solutions in a face-to-face setting..
On the Medical Manufacturing Asia front, companies with new approaches to innovation also took centre stage, underlined by the opening speech by Dr. Koh Poh Koon, Senior Minister of State for Trade and Industry. He asserted the growing trend of medical technology companies moving up the value chain and the need for new approaches and greater collaboration. Strengthening their positions as the sourcing and procurement platforms of choice, both exhibitions welcomed visiting delegations and VIP buyers from Malaysia, Indonesia, Thailand, and Vietnam. According to Dr Prapa Wongphaet, Director, S. Medical Enterprise Co Ltd, who led the Thai Medical and Wellness Tourism Association delegation, seeing the isolation tank from a UK-based company was unexpected, “This is the first time we have seen something like this, and it is exactly what we need. We can now use this tank to isolate patients in case of an epidemic,” she said. According to Swiss machining solutions manufacturer Willemin-Macodel SA, Medical Manufacturing Asia proved to be the ideal gateway to introduce and promote their manufacturing solutions to the Southeast Asian market. In addition to the exhibitions were a series of industry-focused conferences, seminars and workshops covering a wide-range of topics such as ports medicine, wearable technologies, robotic surgery, community care and medtech that attracted about 700 international attendees. Seminar attendee Dennis Ng, Executive Director of IgniteGrowth, acknowledged the discussions on bringing healthcare to the community at the Paradigm Shifts in Healthcare seminar reflected the trajectory of medtech in the world, and he was happy to gain new insights for company. 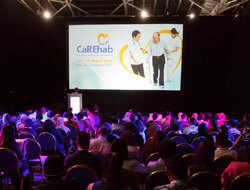 The seminar which made its debut at the exhibitions this year featured speakers from the Singapore General Hospital and KK Women’s and Children’s Hospital. The next editions of the co-located exhibitions will take place from 9 to 11 September 2020 at the Marina Bay Sands, Singapore.